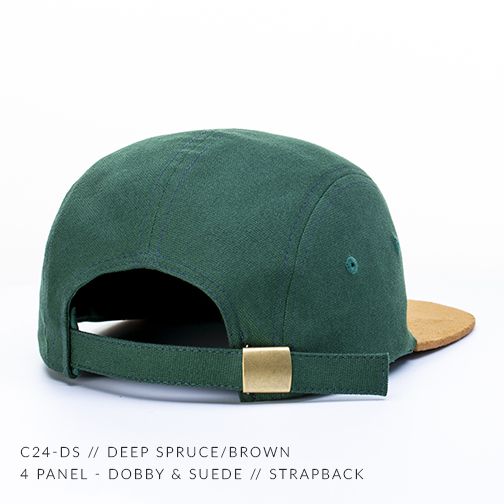 A Low Profile, 4 Panel hat, built from a Premium textured Dobby Cotton, Featuring a Suede Flat Bill & Premium Strapback. 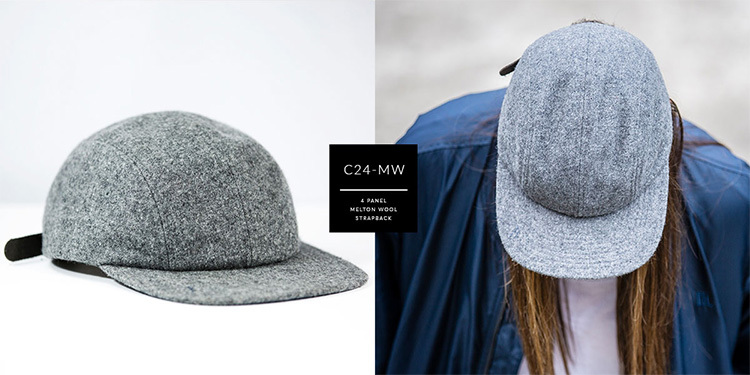 Another forward piece, the custom 4 -Panel is a fun addition for the 5 panel enthusiast to switch up their game. 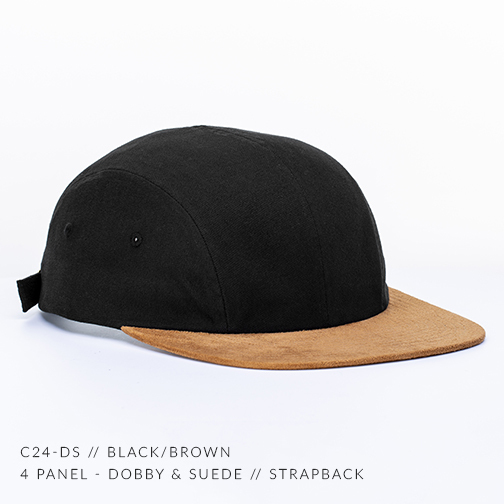 As always the C24-DS comes standard with NO Captuer labeling, make it yours!